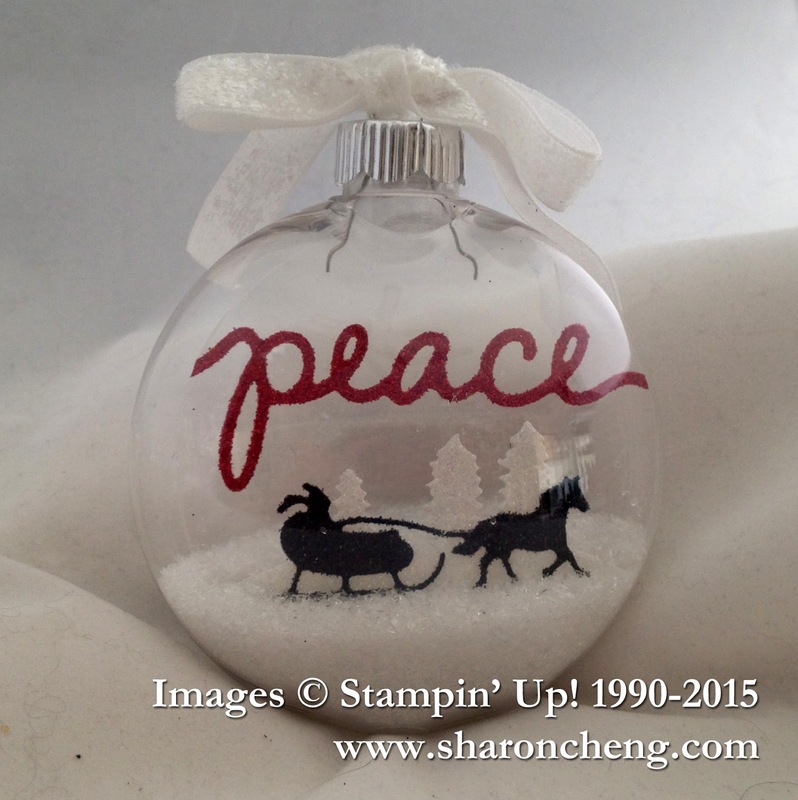 This ornament using Stampin' Up! 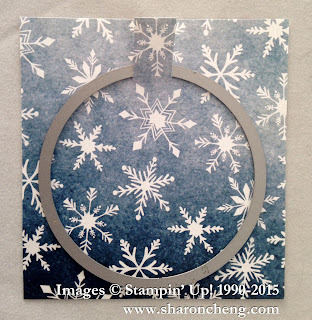 's Sleigh Ride Edgelits and Christmas Greetings Thinlits is quick and easy to make. The most difficult thing about this project is waiting for the glue to dry. Here is the video tutorial for making this sleigh ride ornament. Remember to use a thin window sheet for this project. Cut it out as shown in this photo (I used paper that is easier to see than a window sheet). After everything has dried (remember when I said waiting for the glue to dry is the hardest part? ), roll the window sheet and put it in the ornament. Fill the ornament with "snow". I prefer "glass glitter", chunky glitter or epsom salt. Fine glitters and some of the faux snows tend to stick to the sides of the ornament instead of settling to the bottom of the ornament. You can see my other November projects for Splitcoaststampers Creative Crew Challenges. Sharon ... this is fabulous! I love everything about it! 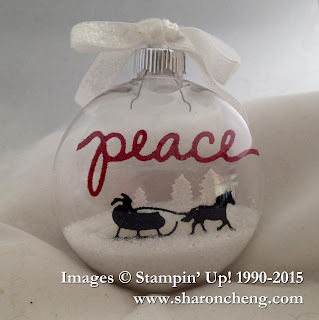 Even though I have a box of DIY ornaments in my crafty zone, I would never have even thought about using the Sleigh Ride dies to create a wintery scene within an ornament! High Fives! Love this! Your video tutorial is excellent! Do you think Martha Stewart's Tinsel Glitter would work well? Thank you, Bev and Laura! An easy way to see if you have a faux snow/glitter that won't stick to the inside of the ornament is to see if it is sticking to the container that it comes in. If it's sticking to the inside of its container, then it will probably stick to the inside of your ornament. If the contents move around easily in the container, then it will probably (I hope) work in your ornament.